I've been pretty quiet since my tour with Sarah Farthing at the end of May. For the most part I've been enjoying/cursing the summer heat, as well as working on some things behind the scenes. In the interest of sharing (my horoscope keeps telling me that I need to do this more! so far it's been right), here's some of the things I've been up to! After going on a short, dreamy vacation to Ontario in early June, I had to kick myself into to gear to finish up the writing project I've been working on since the Spring. It's tentatively called Wildflowers of the Prairies and is inspired by an educational book about wildflowers written by my great-grandfather. I'm getting close to finishing it and have started sharing rough demos of some of the songs with friends and peers. It feels exciting! I know these songs will continue to evolve, but I'm feeling ready to move onto the next chapter of development: how I want to capture/record/release this new material! Lots left to plan and consider. I'm making it a point not to rush things. So many more updates on that to come. Another really important thing I got to do this Summer was Girls Rock Camp. GRCS is a volunteer run organization dedicated to the empowerment of self-identified female, trans, two-spirit, and gender non-conforming youth and adults through collaborative music creation and performance. I was originally asked to facilitate a song-writing workshop for the 8-13 year old camp, but due to an injury (we love you Lenore!) I also became involved as a band coach for the 11-16 y/o! Last, but not least! I started an Etsy shop for vintage jewellery and accessories! It's called Mother Fern Vintage. A low-key homage to my old band name, with zero musical strings attached. This has been a pet project of mine for some time. For now, I am keeping it a 'hobby,' but since I'm currently self-employed I have more time to keep up an online shop and search for treasures. Check it out and let me know what you think! 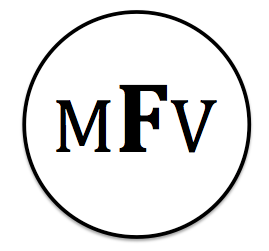 You can also follow MFV on Instagram and Twitter. A selfie from band photo day. Girls Rock Camp 2016! GRC drum skins! I got to work with the Galaxy Queens.